11% of Connecticut residents (389,368) are estimated to have a disability according to the 2013-2017 American Community Survey. Sadly, the ACS estimates that only 24.6% of Connecticut residents with disabilities age 16 and over are employed, vs. 68.3% of Connecticut residents without disabilities that are employed. According to US Department of Labor Studies, each year, millions of American workers leave the workforce after experiencing an injury or illness, and there are tremendous repercussions. Many injured workers could remain in their jobs or the workforce if they received timely, effective help. Recognizing the importance of giving workers with disabilities economically sustainable alternatives to Federal disability benefits, the US President's 2018 and 2019 proposed budgets support early intervention demonstrations. 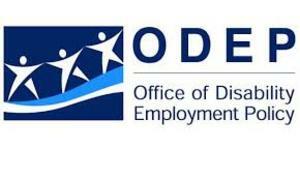 ODEP, the Employment and Training Administration, and the Social Security Administration developed the RETAIN initiative — Retaining Employment and Talent After Injury/Illness Network — to test the impact of early intervention projects on SAW/RTW outcomes. A team from Connecticut applied for and won a grant to perform a RETAIN Demonstration Project. The $2.1 Million grant is for an 18 month Phase 1 Pilot concentrating around the area of the Capitol Region. The team was led by UConn Health and The Hartford, and included the CT Department of Labor, The Office of Workforce Competitiveness, Capital Workforce Partners, The CT Department of Rehabilitation Services, and the CT Business Leadership Network. According to the Department of Labor, at the end of Phase 1, a subset of the Phase 1 awardees may be competitively awarded up to $19,750,000 each to fully implement their projects in Phase 2. Phase 2 will span 42 months, including 30 months for project implementation and 12 months for close-out and final assessment activities.